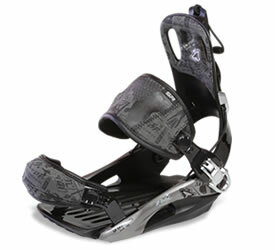 OS2 bindings are in stock and ready to ship. 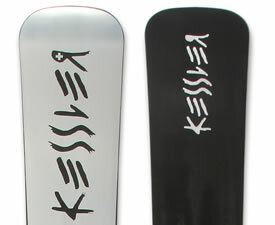 We've sold through almost all of our initial stock of the new Kessler Cross BX and Alpine Race boards. More of these speedy rides are headed our way...if you need a new board, get your order in ASAP. 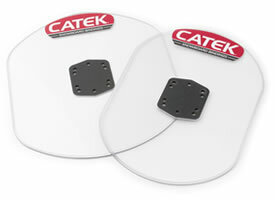 Welcome to the CATEK website. Take a look around the site and you'll see that we have some cool new products joining our Freeride 2 series soft bindings and the OS2 series alpine plate bindings. Thanks to all of our customers for contributing to our success. We have a blast making the best snowboard bindings on the market. We hope that you have a fantastic, snowy season, and we'll look for you on the hill. 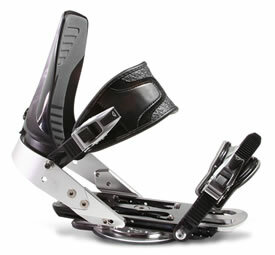 Looking for the ultimate freeride or boardercross soft boot snowboard bindings? Well, check out the options then take a look at our updated Freeride 2 Pro EVO bindings – the latest incarnation of the highest performance snowboard soft binding on the planet. The FR2 Pro EVO combines delivers incredible responsiveness and total anatomical adjustability. The EVO model bests the performance and comfort of last year's LIMITED model and dropped a few bucks off the price. Whether you're looking for the snowboard binding to rule the boardercross course, charge the powder, or freeride all day long, the new FR2 Pro EVO is your ticket. 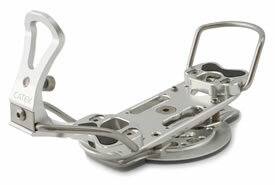 F2 plate bindings are have long been favorites of freecarvers and competitive racers alike. This season the standard bail configuration F2 Race Ti model offers improved flex and power transmission due to new bail geometry. The step-in F2 INTEC Ti model boasts a refined base design that provides increased flex for comfort and control in all conditions. We're delighted to carry the latest Kessler Swiss 'Alpine' and 'Cross' models in a complete range of sizes. These are Kessler's very latest designs and most popular sizes for current World Cup alpine and boardercross disciplines. No other snowboard has won as many titles and medals in the world, whether international cups, world championships or Olympic medals. If you absolutely need something different, we also are pleased to offer special order full-custom race and boardercross boards hand built by Hansjürg Kessler. These are the same boards that are under the feet of national team riders. If you're looking for the convenience of a highback entry binding, but don't want to sacrifice performance or comfort, look no further. The SP Brotherhood model combines the best elements of conventional strap bindings with the super easy in-out convenience of highback entry. It's a light weight, all-mountain, all-style ready binding that's perfect for riders who don't need the absolute precision and adjustability of our FR2 Pro EVO. Snowboards are getting more expensive these days, and titanal boards as well as many of the new super light soft-boot Freeride boards are prone to damage from the point loads transmitted by any binding. Riders have been scurrying to install riser systems or hack-sawing homemade plastic spacers to fit between their boards and bindings. We saw the need for a simple, protective binding spacer to help keep everyone's boards happy, and here it is.